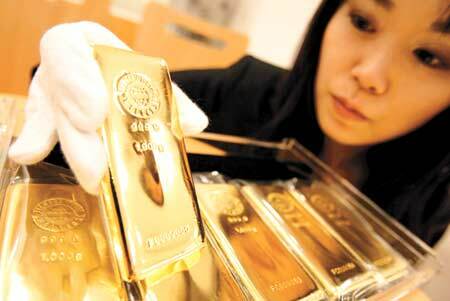 China is moving to tighten controls over the mushrooming of small gold exchanges operating around the provinces. The Peoples Central Bank (PCB0 has restricted gold spot trading to the Shanghai Gold Exchange and the Shanghai Futures exchange, with unauthorized exchanges ordered to stop trading. According to the World Gold Council, China has overtaken India in the third quarter of 2011 as the largest gold jewelry market in the world. Gold bullion imports from Hong King into China increased by over 50 percent to a all time record in October of the year. "It's part of a concerted effort to crackdown on commodities trading on illegal platforms, including gold," Roland Wang, general manager at the World Gold Council in Beijing, recently commented. "I don’t think it’s going to affect China's gold consumption or imports, because these speculative trades rarely involved the physical deliveries of gold in the first place." "No local authority, institution, or individual is allowed to set up gold exchanges," said the notice dated December 20 and jointly issued by the People's Bank of China, the Ministry of Public Security, and other regulators. "Gold is considered a form of currency and is an important component of central banks’ foreign reserves," The statement said "Gold has to be traded on exchanges approved by the State Council and other related regulators in order to safeguard social stability and economic and finance safety. The central bank will also proceed with opening up the gold market and steadily lead it onto a path of "healthy development," it said. The notice, published on the central bank website, pbc.gov.cn stated that the Shanghai Gold Exchange and the Shanghai Futures Exchange are sufficient to meet domestic investor demand for spot gold and futures trading. An official at the Beijing Gold Exchange Centre, who declined to be identified, told Reuters over the phone that the exchange has not received any detailed instructions. "But the talk of a crackdown has been going on for a while," he said. "Of course this affects our business." You can print money but you can’t print gold.